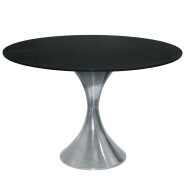 Plastic table base with aluminium or iron column for outdoor. 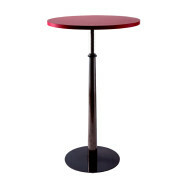 Plastic table base with aluminium or iron column with folding top. 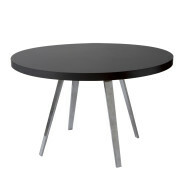 Painted iron table with four legs. 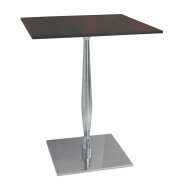 Available with beech wooden inserts. 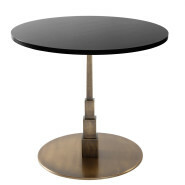 Table with round iron base and columns. 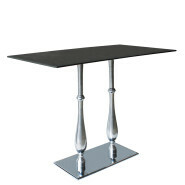 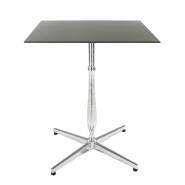 Table with 3 or 4 polished aluminium legs. 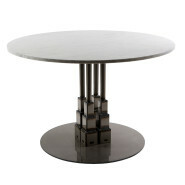 Iron table base with conic column and threaded fix segment. 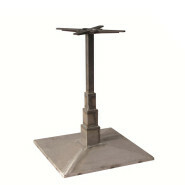 Iron table base with Empire columns and visible welding. 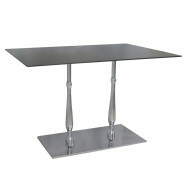 Iron table with four legs with footrest. 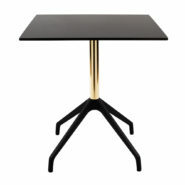 Iron table with four legs and painted frame. 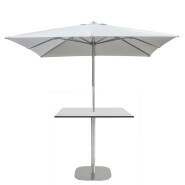 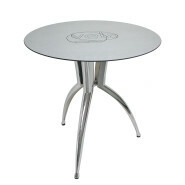 Round flat cast iron table base with stainless steel cover and aluminium liberty column with adjustable feet. 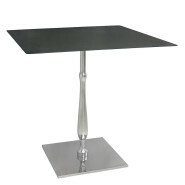 Square flat cast iron table base with stainless steel cover and aluminium liberty column with adjustable feet. 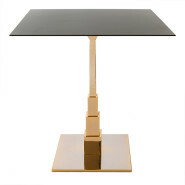 Awailable with golden stainless steel cover 24KT and golden aluminium liberty column 24KT. 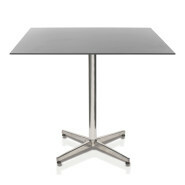 Rectangular flat cast iron table base with stainless steel cover and aluminium liberty columns with adjustable feet. 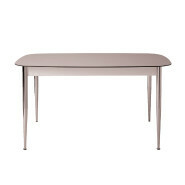 Cruise base contract table in painted aluminum. 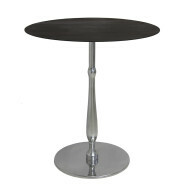 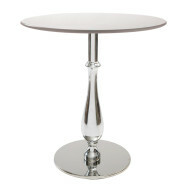 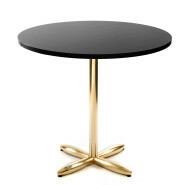 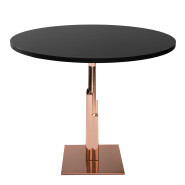 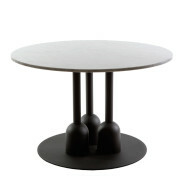 Round flat cast iron table base with stainless steel cover and polished aluminium or gold column with adjustable feet. 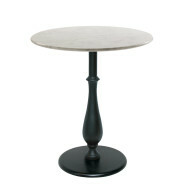 Available with flat cast iron table base and painted iron column. 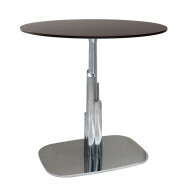 Rounded flat cast iron table base with stainless steel cover and polished aluminium or gold column with adjustable feet. 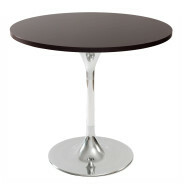 Round cast iron table base with transparent painted iron column and adjustable feet. 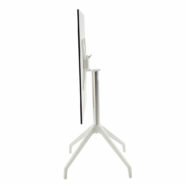 Available in aluminium and differet finishes. 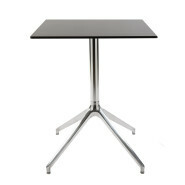 Square cast iron table base with stainless steel cover and aluminium column with adjustable feet. 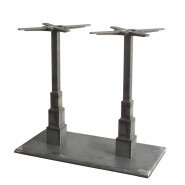 High rectangular cast iron table base with transparent painted iron columns and adjustable feet. 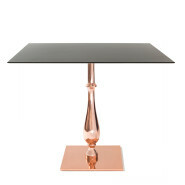 High square smooth cast iron table base with transparent painted iron column and adjustable feet. 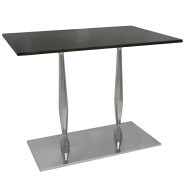 Table with cast iron base with satin stainless steel cover and satin aluminium column. 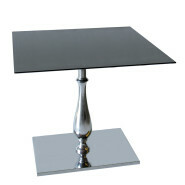 Table with square cast iron base with satin stainless steel cover and satin aluminium column. 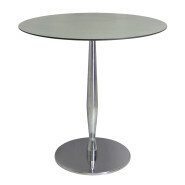 Table with round cast iron base with polished stainless steel cover and polished aluminium liberty column. 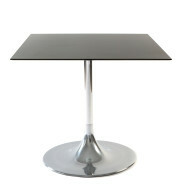 Table with rectangular cast iron base with polished stainless steel cover and polished aluminium liberty column. 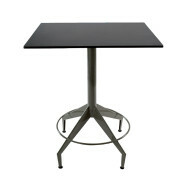 Also available with 3 or 4 arms in painted cast iron. 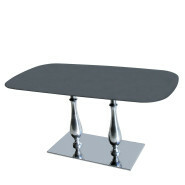 Rectangular table base with 2 legs in die cast aluminium. 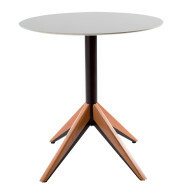 Cone-shaped table frame in painted aluminium. 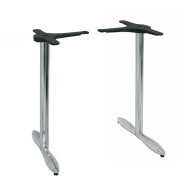 Also available with aluminium tube.